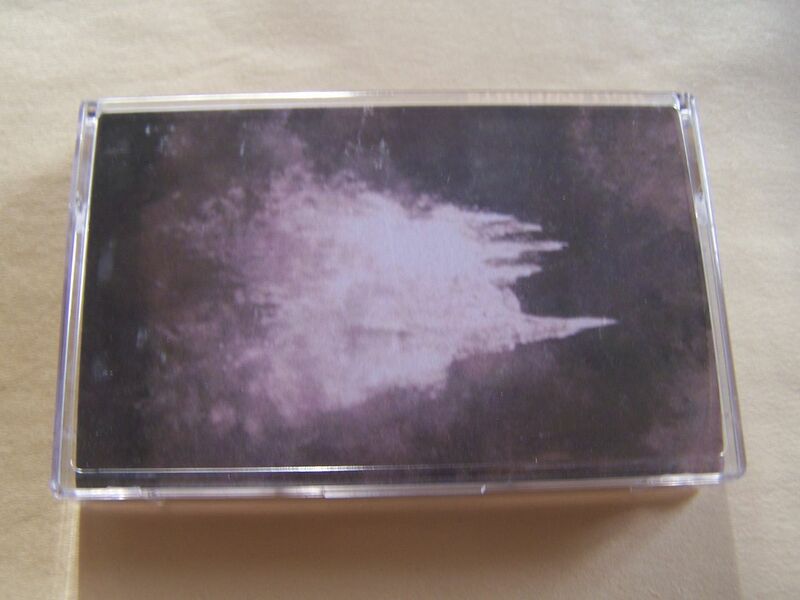 In the time since I last heard Hollowfonts on cassette, it is worth noting that I've been hearing a number of different artists using these big echo sounds that resemble something I can't quite put into words other than to say that it is hollow. 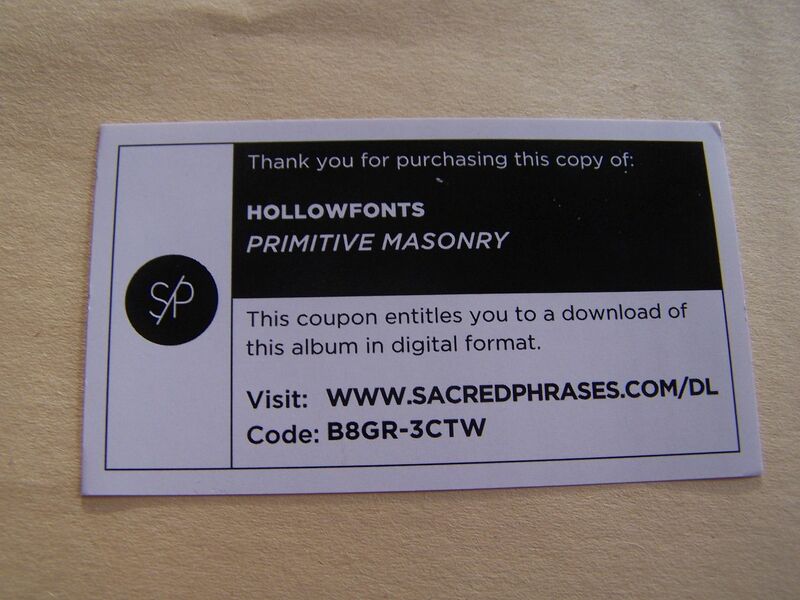 Now, to me fonts are visual so I've never really used that in my music reviews (yet?) 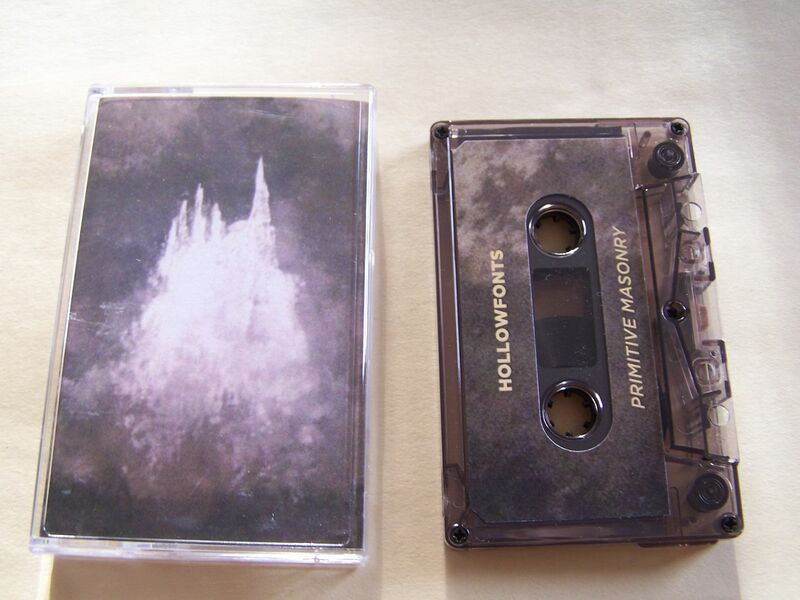 but listening to this new cassette from Hollowfonts, the second over the first, one of my questions going into this was whether or not I was going to have to use the word "hollow" to describe the sounds. As we are in the belly of the beast, we turn into some space laser war industrial anthems. There are beats and it has this feel of "Run Lola Run" and Nine Inch Nails' "Wish" album to it. For those scoring at home, "Wish" is not the album that the previously mentioned "Head Like A Hole" appears on and is rather different in ways. 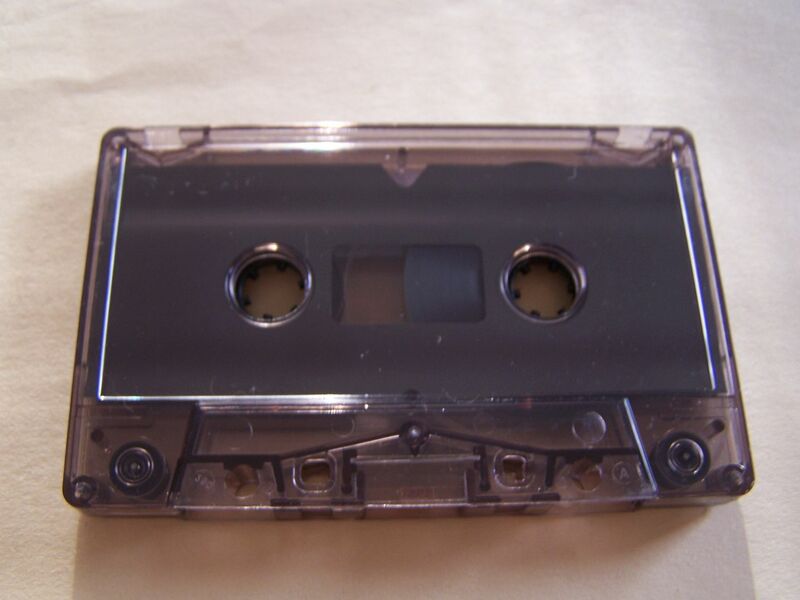 I first purchased "Wish" on CD and have had it as such since until only maybe two or three months ago when I found the cassette and am now experiencing it the same way I do most all other music. 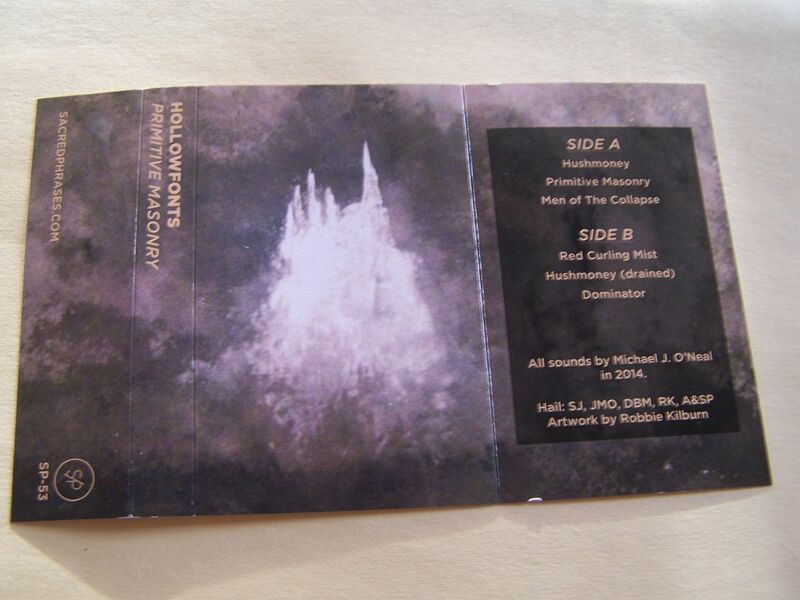 Side A does slow down before it ends, but Side B comes right back into it with the electronics. Through drumming and scrambling we find it growing again in a similar pattern to that of Side A. (Worth noting: On "XLVIII" the two sides seem so different, and yet here the two feel more closely connected) It becomes haunting as it slows down and, yes, I have to do it-- the sounds begin to live up to the namesake as they become hollow. The end comes with perhaps an accordion but as I listen further into it with the piano keys I also think it might have just been a cello. The fact that there are so many instruments that can sound like other instruments and Hollowfonts uses them to try and play tricks on your ears is just amazing because I don't mind being musically fooled. This does bring it to somewhat of a sad end and while I'm not sure it might spell the end for the boiler room series from Hollowfonts. 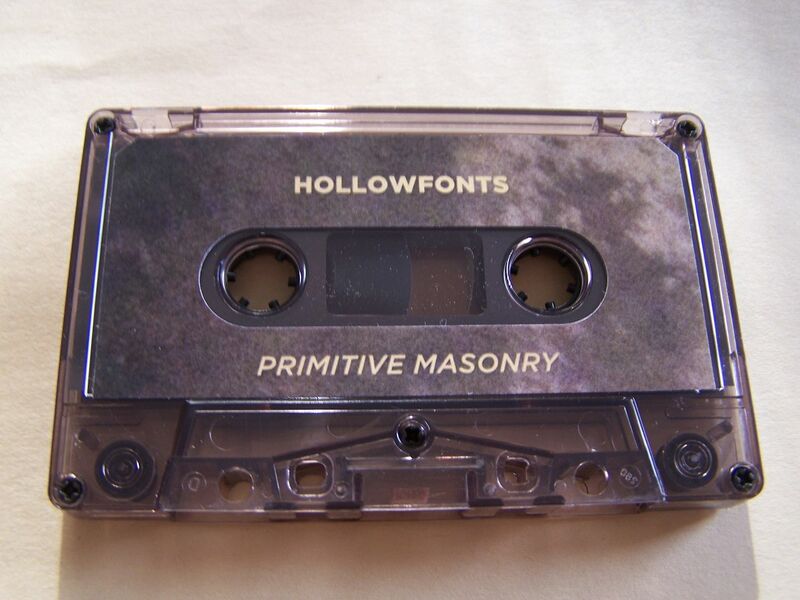 I really do love that the music of Hollowfonts could be the soundtrack to a film. In this instance, I would see it as being something "Hackers" only it's filled with a group of kids or maybe just one person who lives in that boiler room area but has to go underground (As the underdwellers part indicates early on here) to get something he wants. This causes some peril and by the end everything is sad because either he was fighting for a girl and she died or maybe the protagonist just died. It also could be somewhat closely related to the plot of the movie "Demolition Man", which still remains one of my favorite movies from being a kid (What can I say? I was a huge Dennis Rodman fan, so the look Wesley Snipes pulled off spoke to me), but it would have to end in something other than the "And they all lived happily ever after" scene. Still, if you haven't seen "Demolition Man" before don't watch it just to see how it fits with this music (Or do, I don't care, I'm not the boss of you) but rather listen to "Primitive Masonry" and find a movie that is personal to you.